As we headed north from Rio de Janeiro, we passed dozens of rivers like this. Truly ideal capybara habitat. I wanted my son, Sam, to stop the car at every little stream. Driving along, Sam told me casually he had seen capybaras along the river, right in the middle of Juiz de Fora. In my mind, I pictured a sleepy little town on the banks of a river not unlike this one. Oh, sure. 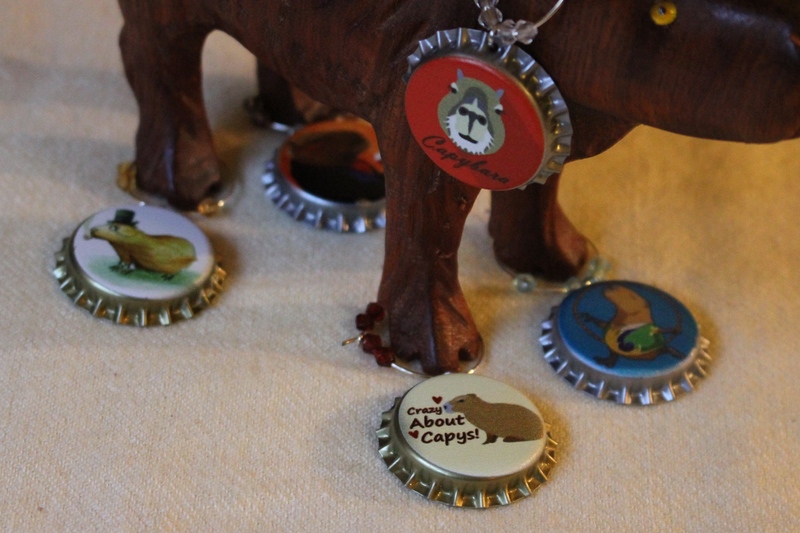 Lots of capybaras HERE! Some Great Egrets, a few Kingfishers, lots of grass. Wait a minute! What is that brown junk on the river bank? HEY! It’s capybaras! Cars and trucks whizzing past, no shade or cover. Just big brown lumps on green grass. They are on both sides of the culvert. I see 4 capybaras to the right of the culvert. They aren’t moving at all. It is mid-afternoon and they are napping. There are 2 to the left side of the culvert. The grass is neatly clipped. How did that happen? That is a mature male in the center. His morrillo is very prominent. Trucks go by and they are completely unconcerned. I still can’t believe I saw them. This is a divided highway, the river flows through the median. Cars and trucks are traveling at highway speeds. Furniture stores, auto repair shops, construction supply depots and millions of little restaurants stand shoulder-to-shoulder on both sides. It would have been easy to miss them. How many capybaras did we hurtle past before we saw these? I didn’t see any more along the river after I saw these. So, yes, they are common, but commonly SEEN? I don’t think so.